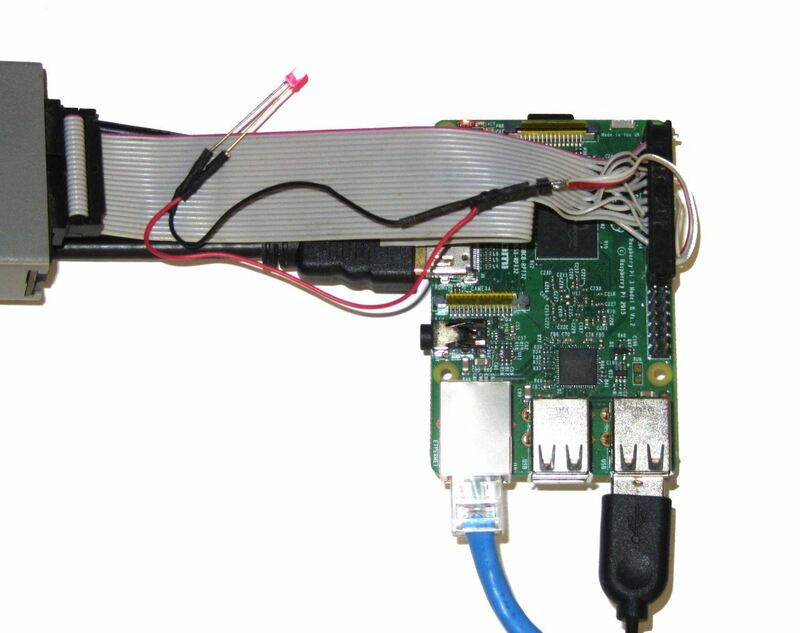 We will create a kernel module that will make an LED connected to the Raspberry Pi blink with a specified period. 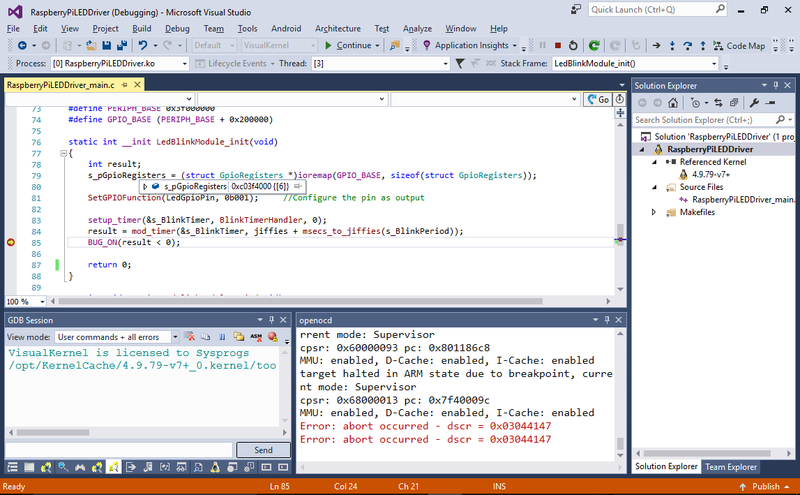 The user-mode applications will be able to modify the period via a sysfs interface. Note that the Raspberry Pi kernel already comes with a GPIO driver that allows user-mode applications to control the GPIO pins (and LEDs connected to them) directly, however we will not reuse it and will build our driver from scratch to demonstrate direct hardware access. 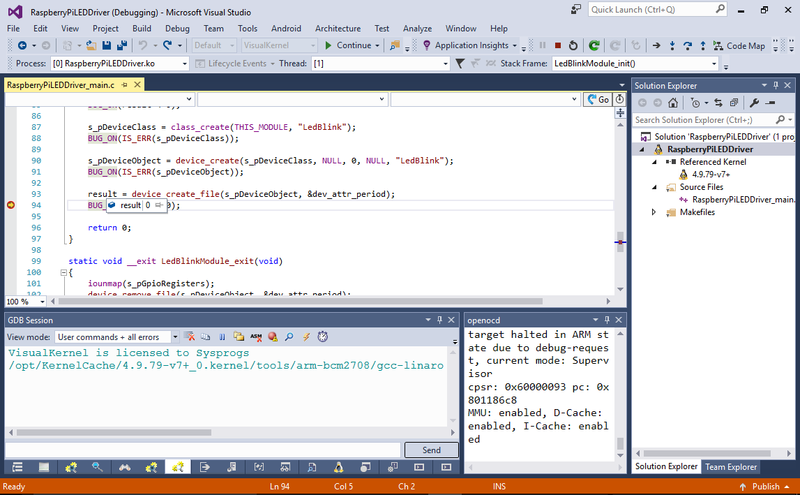 First of all, create a basic kernel module project for Raspberry Pi by following this tutorial. Ensure that you can build and debug your module. The GPIO_BASE is the base address of the GPIO registers defined in platform.h. You will need to switch the license of your module to GPL to be able to call device_destroy(). You will see how the LED blinking period will change. Note that if you write a value that is not a number, you will get an error (because set_period_callback() will return -EINVAL). 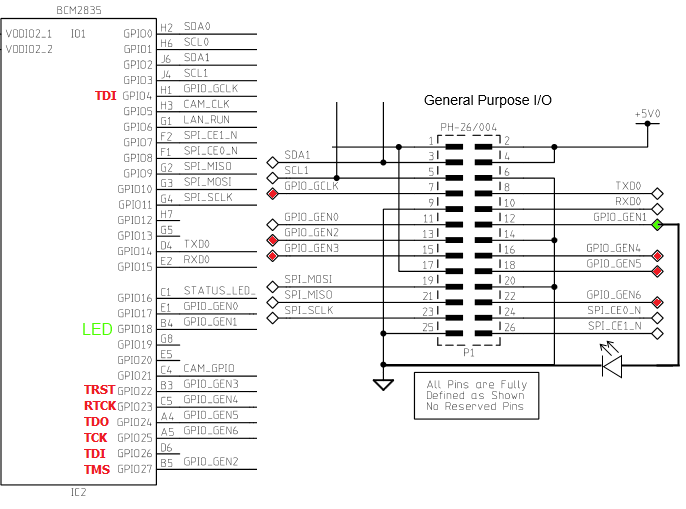 You can download the source code of the LED driver described in this tutorial here.